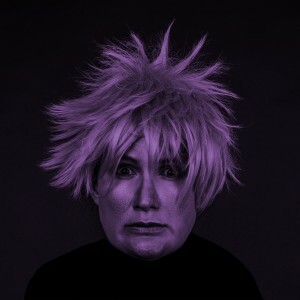 After: Andy Warhol, Self Portrait (Fright Wig), 1986. Deborah Kass, Camouflage Self-Portrait, 1994. 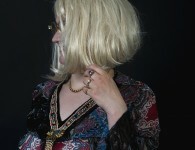 Gavin Turk, Camouflage Fright Wig Gold and Taupe, 2007. Ron English, Figment (purple), 2010. Sandro Miller, Andy Warhol / Self Portrait (Fright Wig) (1986), 2014.